BEIRUT (Sputnik) - About 20,000 people participated in mass rallies organized by the Lebanese Communist Party in Beirut on Sunday to protest the authorities' economic policy amid the Arab League Economic and Social Development Summit, a Sputnik correspondent reported. BEIRUT (Sputnik) – The command of the Lebanese army announced a ban on Thursday on the use of private vessels near the coast in Beirut for January 19-20 in connection with the economic summit of the Arab League. 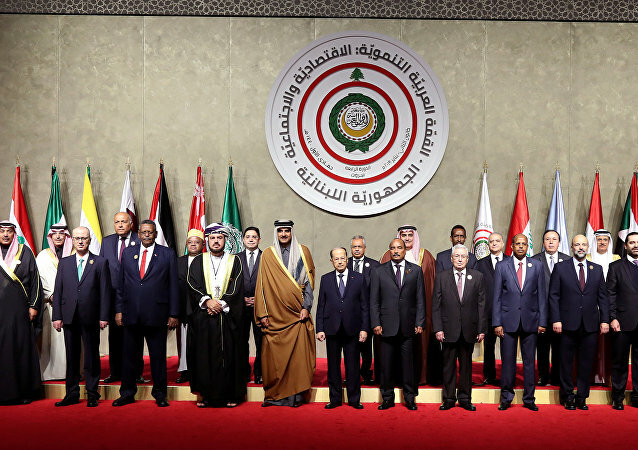 MOSCOW (Sputnik) - Arab League’s Assistant Secretary-General Hossam Zaki told Sputnik on Saturday that Syria's invitation to the organization’s summit in Tunisia in March would not be discussed during the Arab Economic and Social Development Summit that will take place in Beirut later this month. BEIRUT (Sputnik) - Mass anti-government rallies broke out in Lebanon on Tuesday after the death of a Palestinian toddler, who was denied admission to a local hospital because his parents could not afford to pay for medical treatment. BEIRUT (Sputnik) – More than 5,000 people took to the streets of the Lebanese capital of Beirut on Sunday to participate in an anti-government demonstration. Following long-held secrets among the Israeli military and intelligence establishments about the existence of Hezbollah underground tunnels, operations began on December 4 to destroy those that enter Israeli territory, including one that penetrates 40 meters into the country's North, just outside the town of Metulla. 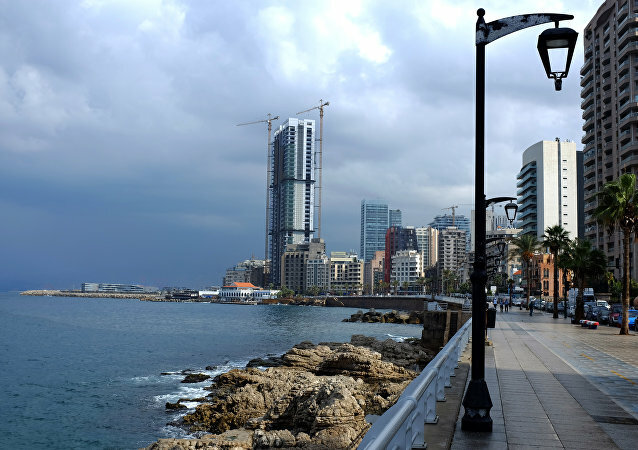 Beirut residents were given a new warning after Israeli Premier Benjamin Netanyahu revealed three other missile-related locations last week, all of them right in the heart of Lebanese social infrastructure facilities. Lebanon, meanwhile, denied the claims. MOSCOW (Sputnik) - Western intelligence services suspect an Iranian civil aviation company of smuggling arms into Lebanon for the Hezbollah Shiite movement as a number of unexpected routes by Iranian cargo aircraft have been registered over the past several months, Fox News reported on Tuesday, citing intelligence sources. 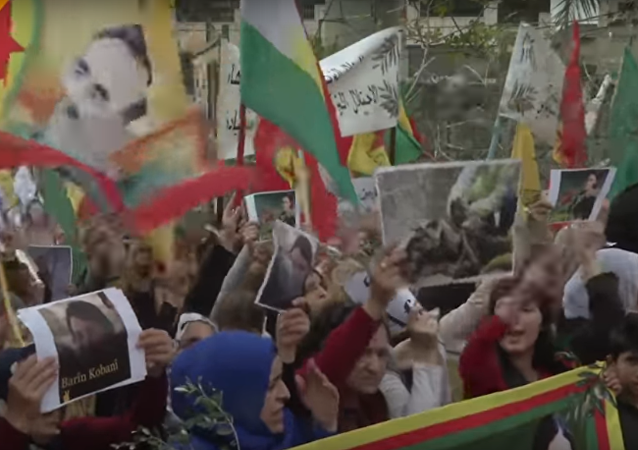 The protesters demand an end to the Turkish military operation in Afrin, Syria against Kurdish armed groups. 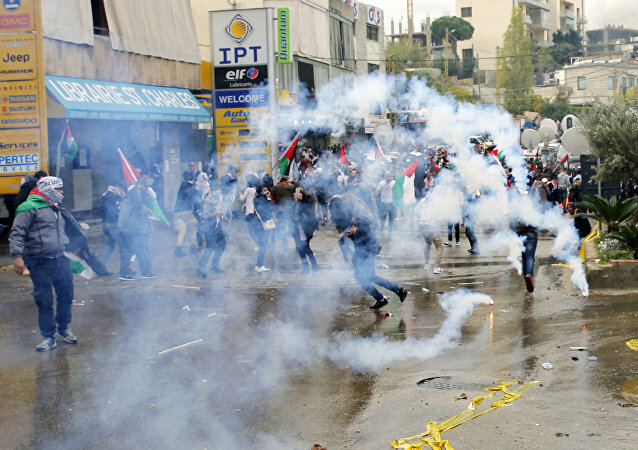 Israeli police have used tear gas in clashes with Palestinians in Bethlehem over the controversial decision by US President Donald Trump to declare Jerusalem the capital of the Jewish state. Hundreds of people gathered near the US embassy in Beirut to protest against Donald Trump’s decision to recognize Jerusalem as Israel's capital. 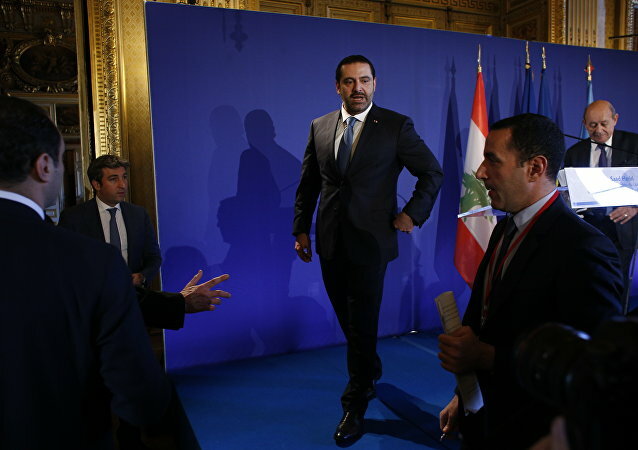 Following a month-long incident in which Saudi Arabia’s newly-installed crown prince Mohammad bin Salman sought to obstruct regional rival Iran by shutting down the Lebanese government, Beirut prime minister Saad Hariri is now seen to have emerged with a stronger mandate. Take a look at models wearing haute couture dresses made from ... chocolate at the 7th Beirut Cooking Festival. Supporters of Lebanese Prime Minister Saad Hariri gathered near his residence in Beirut on Independence Day, November 22 to celebrate his return from Saudi Arabia, where he earlier announced his resignation but later put his decision on hold. ‘Where’s Hariri?’: Has Riyadh ‘Kidnapped’ the Lebanon PM? A new political crisis gripping the Middle East has destroyed the relative peace of Lebanon’s coalition government, ruled - until just days ago - by Prime Minister Saad Hariri, after his stunning November 4 resignation that was announced from within Saudi Arabia, where he remains as of this moment. The Lebanese Army is engaged in an offensive against Daesh and has liberated a strip of territory near the Syrian border. A Middle East expert has told Sputnik the operation comes in support of Hezbollah fighters in the region. The Second World War commemoration event, dubbed "Immortal Regiment," took place in the Lebanese capital on Sunday, with about 400 people with children marching in the city's center carrying posters with photos of the ancestors who took part in the war. Members of Palestinian gangs from Borj El Brajneh camp initiated a real armed clash near their camp in the southern suburbs of Beirut, according to a source. French presidential hopeful Marine Le Pen refused to wear a headscarf covering a head for the meeting with the Grand Mufti Sheikh Abdul-Latif Derian in Beirut and the meeting did not take place, according to media reports. EU High Representative for Foreign Affairs Federica Mogherini held her first meeting with Lebanon’s President and Prime Minister in Beirut.